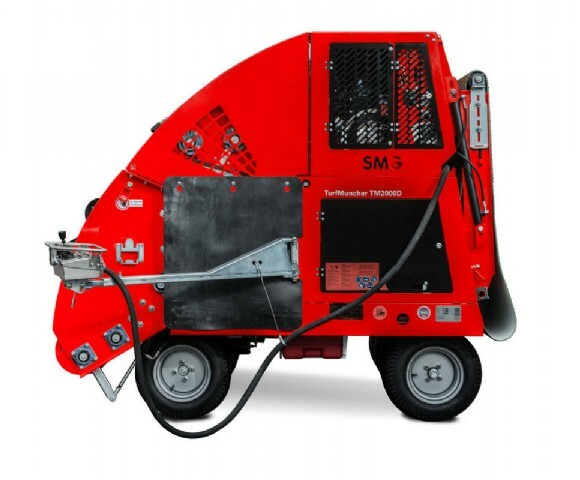 Self-propelled machine for the removal of artificial turf. 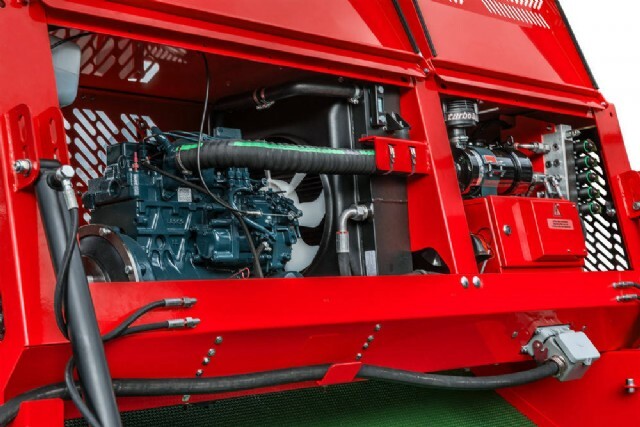 Self-propelled TurfMuncher TM2000D winds artificial turf into 2-metre compact rolls and works out the infilling material. It is driven by a water-cooled 44 HP Kubota diesel engine, and all of its functions are electro-hydraulically controlled. 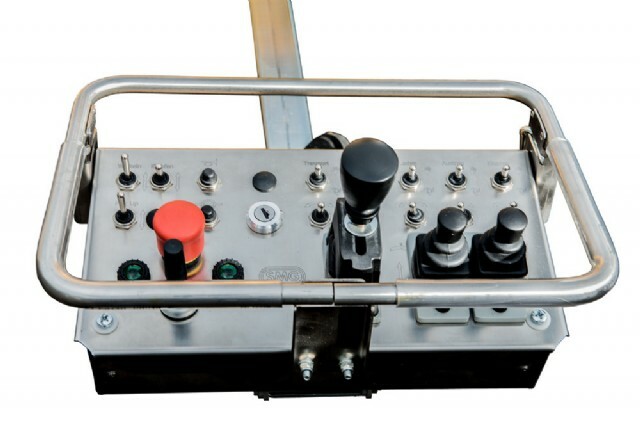 The machine is conveniently controlled from a pivoting control panel. Weight, surface pressure, and steering of the machine are designed for use on sensitive substructures such as, for instance, elastic layers. 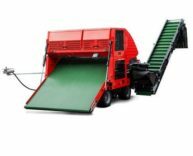 The discharge height of the conveyor belt of 2.4 metres allows for easy pick-up of the filling material by shovel loaders, dumpers or BigBags. The conveyor is also 180° traversable and makes it possible to work around the edges. 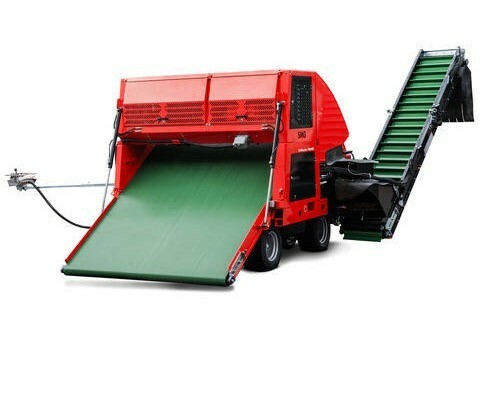 A maximum operating speed of 7 m/min and a material discharge of up to 500 kg/min allow for removing of a standard artificial turf pitch in just 14 hours.